MOSCOW (Sputnik) - The United States is risking triggering "dramatic events" in Europe if the country decides to deploy new missiles to Europe after withdrawing from the Intermediate-Range Nuclear Forces Treaty (INF Treaty), Russian Ambassador to the European Union Vladimir Chizhov said in an interview with Financial Times, released on Tuesday. 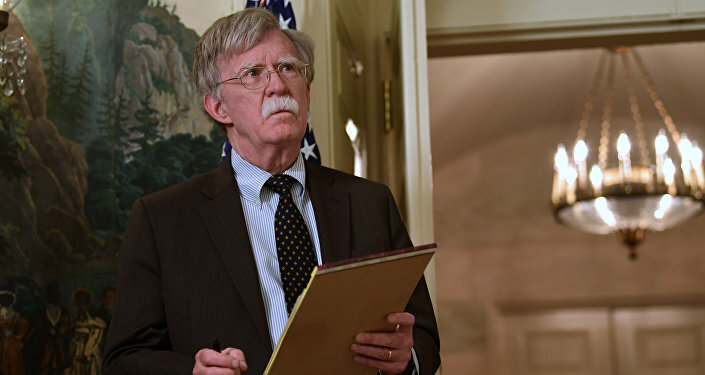 "So what are the next plans of the US administration after they leave INF?… If they plan to deploy missiles in Europe, that might lead to dramatic events across Europe — including in domestic politics," Chizhov told the newspaper. According to Chizhov, Europe is the main beneficiary of the INF treaty and therefore is the party that would be most adversely affected by the agreement's annulment. "It was evident in 1987 and continues to be: the big winner was Europe… Because Europe was the place where American medium- and shorter-range missiles were deployed — and Europe was consequently the target of similar Soviet missiles," Chizhov explained. Speaking about the possible revision of the INF Treaty, the diplomat rejected the US proposal to invite China to join a revised treaty, saying that Russia, which shares a border with China, had more reason to be worried about Beijing's missile program. The comment referred to the voiced in late October by US President Donald Trump plans to withdraw from the INF Treaty, claiming that Russia had violated the accord. Moscow has condemned the plans and denied any violations. Prior to that, the United States and Russia have repeatedly accused each other of violating the INF Treaty. Moscow, in particular, has stated that the United States was deploying launchers for Tomahawk missiles in Romania and Poland, something which was prohibited by the agreement. Russia has also pointed to the fact that Washington was developing combat drones and financing research on the development of a ground-launched cruise missile. Meanwhile, the Russian authorities have stressed on numerous occasions that it strictly complied with the obligations outlined in the treaty.